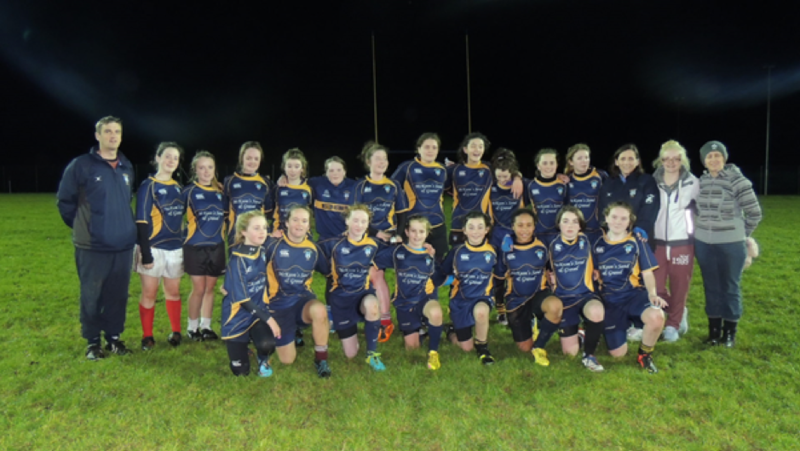 This week we have Ballinasloe RFC, with text and pics with thanks to Ann Conlon and Kevin Keane. It was Declan Murphy, assisted by Club President Geraldine Kelly & Club Secretary Patricia Tierney & egged on by his very enthusiastic daughter Aishling, who started girls youth rugby in Ballinasloe RFC back in 2013. 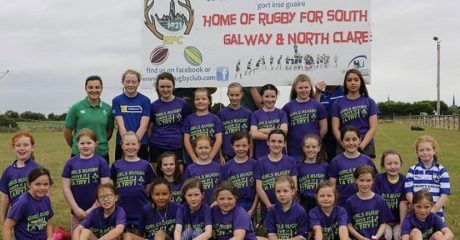 With the help of Marie Codyre, Catherine Devine & Marie Sinclair the first training session was held in late July 2013 with their first game was a blitz in Buccaneers RFC in Athlone. Stephen Reilly then came on board to help Declan with the ever increasing numbers. Since then these girls have gone on to win 5 Connacht Cup Finals and much more. By the following year 2014 we had an u15 team and an u18 team with Richie Sheppard, Dermot Tierney, Simon Hyde & Patricia Tierney taking on the management roles. This was also the year that we had our first girl, Tosh (Natasha) Walsh, called up to the u18 Connacht team where she blazed a trail for other girls from Ballinasloe RFC to follow. In 2015 we had 5 players on the u18 Connacht team. Tosh Walsh, Rachel Tierney, Ellen Grehan, Sarah Dent and Georgia Codyre. The u15s won their third Connacht Cup in a row this year. 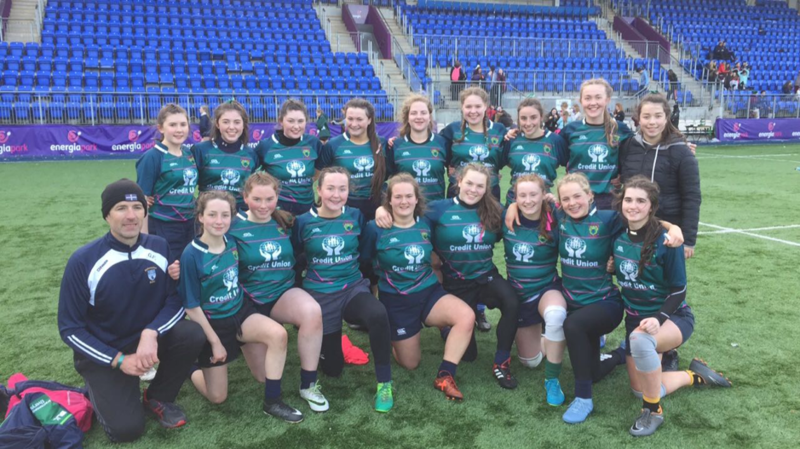 2016 proved to be an outstanding year for the girls when 7 girls made the Connacht squad. Aishling Murphy, Tosh Walsh, Sarah Dent, Georgia Codyre, Meabh Deely, Aoibheann Reilly and Niamh Kenny. As a result of this, 2 of the girls Sarah Dent and Aoibheann Reilly, were selected for the Irish 7s squad. The u18s won the Cup final that year. Gearoid Finneran & Noel Gavin took over training the U15s that year with the help of Ann Marie McCann, Aine Noone & Sinead Manning. 2017 rolled in and again the girls achieved great things. 9 girls were selected for the Connacht u18 team. Sarah Dent, Aoibheann Reilly, Meabh Deely, Georgia Codyre, Aishling Murphy, Aine Galvin , Eleanor McMahon, Niamh Kenny and Beibhinn Parsons. 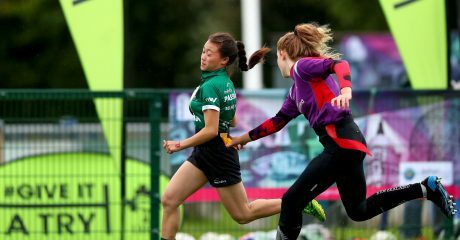 Meabh Deely was also called up for the Irish 7s squad this year. 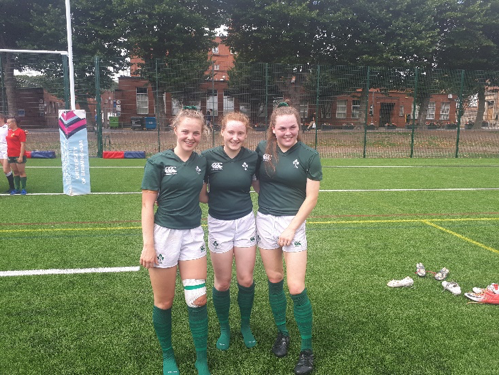 Meabh and Aoibheann were both selected for the Irish 7s squad to play in the School Games in England where they came first and came home with gold medals .They also travelled to France for the European Championships where they came 6th. The u18 team won the cup final and the u15 team were unfortunately knocked out in the semi-final. 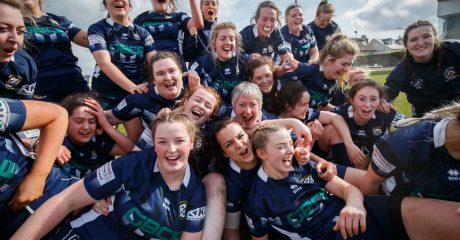 In 2018 we had 11 girls in the Connacht squad. Aoibheann Reilly, Meabh Deely, Beibhinn Parsons, Emily Gavin, Niamh Kenny, Aine Galvin, Macy Mc Dermot, Mia Fahy, Claudia Mc Nichols, Hannah Guillane and Jordan Hopkins. 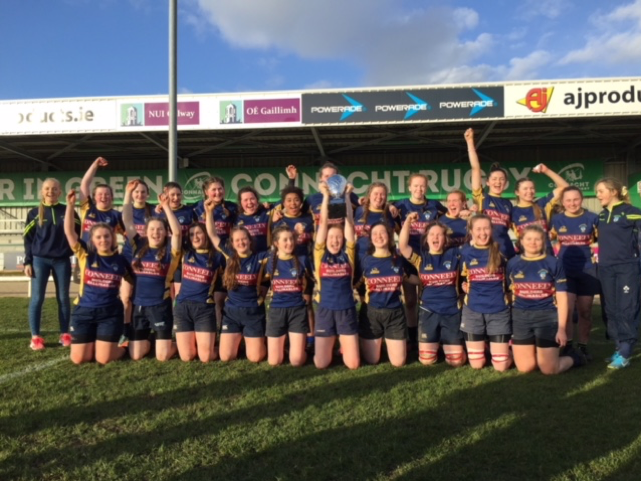 The Connacht girls won the interpros for the first time ever. Meabh, Aoibheann and Beibhinn were selected for the European Championship where they came 3rd. They also travelled to Scotland and England for the Home Nations and won on both occasions. The u15s, coached by Gearoid Finneran, Noel Gavin & Ann Marie McCann, got to the Cup Final but lost to Claremorris and the u18s won beating their greatest rivals Westport. Aoibheann and Beibhinn were both selected for the Senior Irish Womens squad to train for the November series. Beibhinn made history being the youngest ever player at only 16 to play Senior Womens rugby for Ireland. She togged out in Energia Stadium against a very strong American team and again in Twickenham. 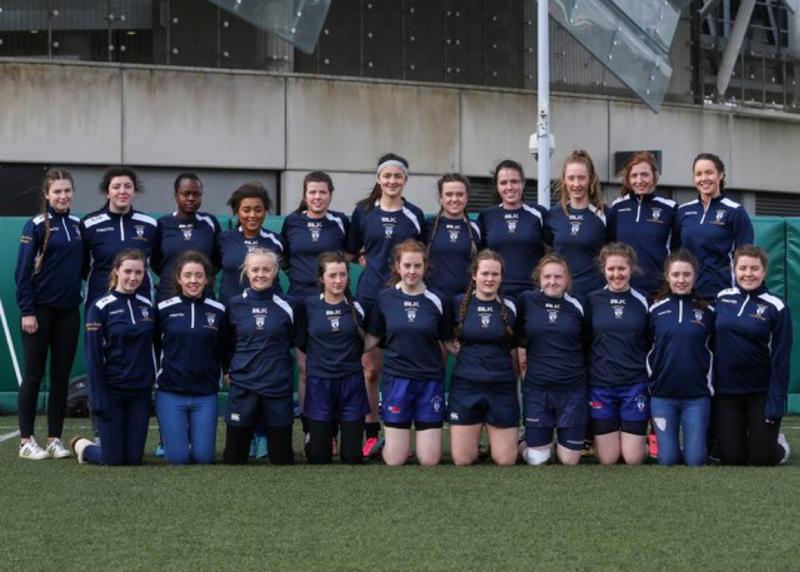 Aoibheann was selected to play in Dubai with the National 7s Development squad in November. All in all a very busy year for the girls. Our present U16 team are topping division 1 in the league this year, coached by Dermot Freehill, Noel Gavin, Ann Marie McCann & Sinead Manning, with their league final being played this Saturday 19th Jan in Ballyhaunis against Claremorris. This group of girls have worked hard over the past 3 years and are reaping the rewards this year as they are unbeaten so far. Our newly formed U14’s will be taking part in the Cup that kicks off this weekend, with the players so keen on showing what they have learned this season. And last but certainly not least, our Mini girls have been training every week at U12’s and U10’s and have taken part in blitzes both with the boys and the Girls Only blitzes. All of the above would not be possible without the hard work and dedication of our brilliant coaches who have given countless hours of training and extra training down through the years and who have gone over and above the call of duty to help the girls achieve all they have over the years. The Committee are also fantastic support for our girls as well as all the parents who help week in and week out. We are a very progressive club with new facilities being developed including our new 3G astroturf pitch coming on stream in 2019. This will greatly enhance the training facilities at the club. 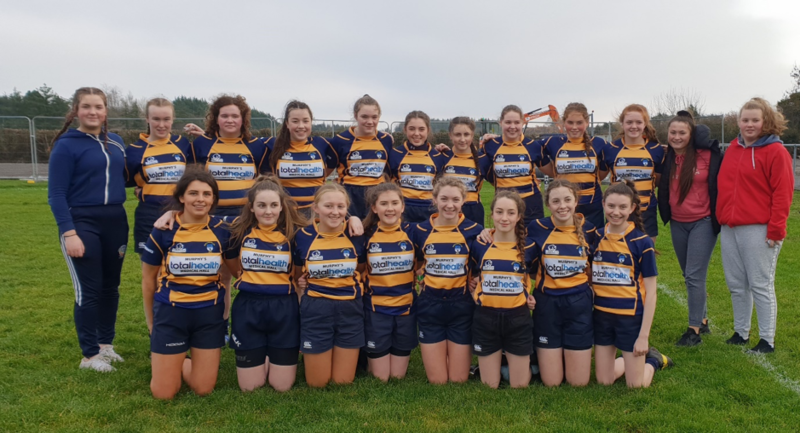 I may as well also add that a number of girls from both u16 and the u18 teams who attend school in Ardscoil Mhuire Ballinasloe, won the National Schools 7s Final in Dublin this year. Yet again we met Westport in a final and managed to beat them by the skin of our teeth. It was the first time this competition has been won by a school outside of Leinster. For myself I have found the experience of Girls Youth Rugby in Ballinasloe an experience that I will carry with me forever. I, like the girls was hooked from the beginning. To watch them play for the love of the sport and for the respect that they show and are shown is quite humbling. 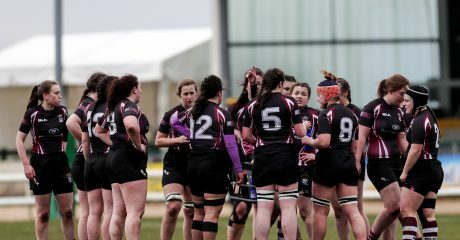 I think that it is this love, respect and determination to win that has made our club so vibrant and go from strength to strength over the past 5 years with the ultimate goal of having a senior ladies squad at the club. We now have 96 girls registered with the club which is a phenomenal number for a club in the West of Ireland. U18s coaches: Stephen Reilly, Dermot Tierney, Andrew Mannion and Gearoid Finneran. Ladies Secretaries:	Ann Conlon and Annamarie McCann. Connacht skills training with Dermot Tierney every second Monday evening 7.30 to 8.30.